SG Blocks is a relatively new company committed to using recycled steel shipping containers to build sustainable structures. 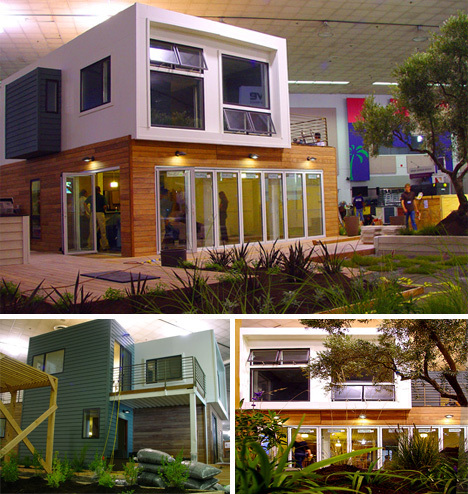 They brought this beautiful example to the 2008 West Coast Green Conference, where it won over anyone who wasn’t quite sure that container architecture can be functional and attractive. The Harbinger House, if installed fully-outfitted and with all of the spiffy features available, would cost around $150/square foot, which is slightly above the national average for new construction. However, a more moderate home could run you roughly 15% less than the national average, making these pre-fab container homes green in more than one way.